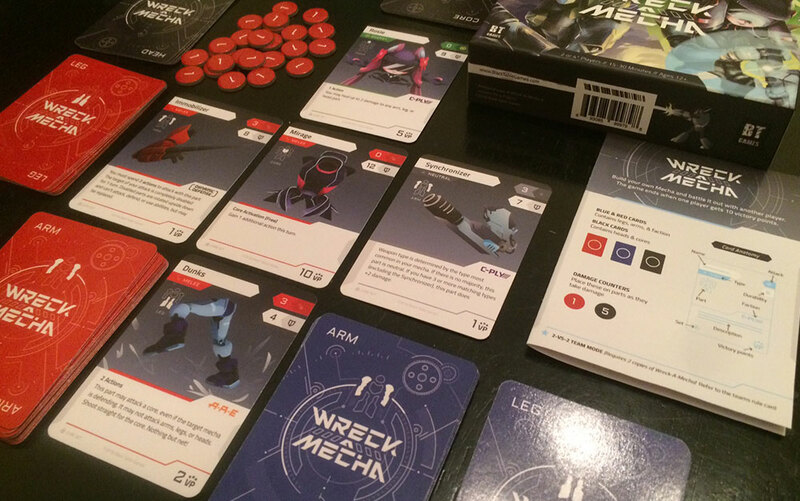 We received our production sample of Wreck-A-Mecha from our manufacturing partner and we’re happy to say it looks fantastic! The colors turned out great, the box is incredibly sturdy, the chits are nice and thick, and the cards have the firmness we were hoping for. Here’s a sneak peek! When can Kickstarter backers expect to receive their games, you ask? We’ve already given the thumbs up for production, so we should hopefully have our shipment sometime in March from what we’ve been told. After that we’ll be shipping out games to backers! Missed the Kickstarter? Don’t forget you can still pre-order Wreck-A-Mecha here.